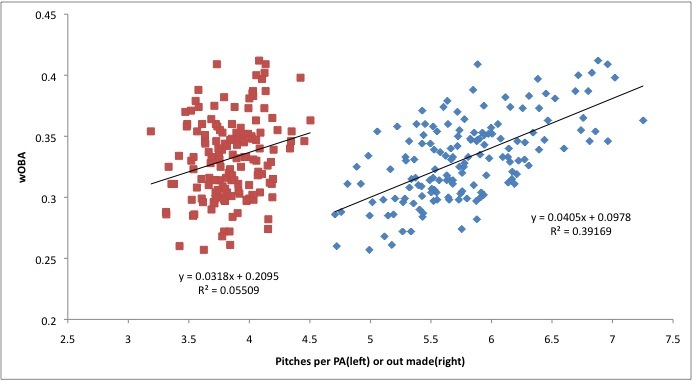 We hoped you liked reading Another Take on Pitches Taken by DavidKB! Interesting! Out of curiosity, what were you using to measure performance? 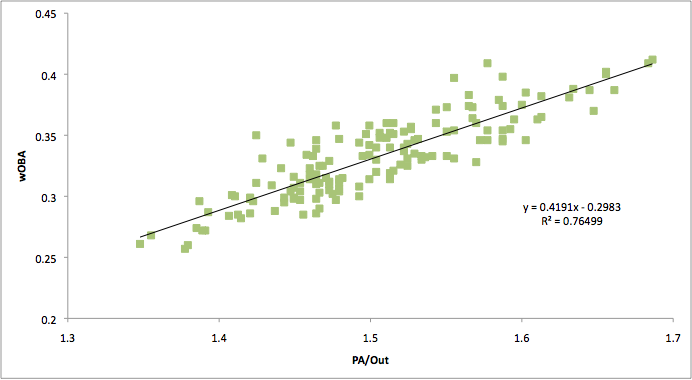 Also, I think you’re using a much higher PA minimum to get Stanton and McCutchen 5th and 6th; I used a relatively low minimum of 100 PA’s. 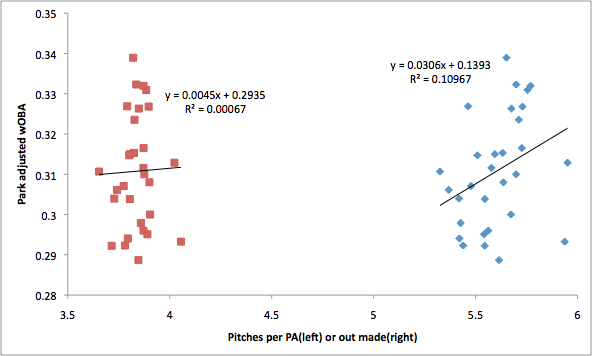 I agree that there is no direct correlation between wOBA and P/PA; there are many ways to get on base.